Objectives: Leptospirosis is a zoonotic disease of global public health importance with complex transmission dynamics. This workshop explored mathematical tools and approaches for describing 1) within-host dynamics of Leptospira infection and immunity in reservoir and incidental hosts; 2) multi-host, multi-species Leptospira transmission dynamics in urban and rural settings; and 3) environmental drivers of leptospirosis transmission in animals and people. The workshop brought together expertise in bacteriology, molecular biology, epidemiology, statistics, veterinary medicine, human medicine, ecology, hydrology, mathematical modeling, network dynamics, evolutionary dynamics, and nonlinear analysis. Attendees explored the state of knowledge of leptospirosis transmission in animal and human populations and the capabilities and limitations of the existing techniques that could be used for explaining currently available empirical data. Recommendations were made on the need for further empirical studies as well as future directions for modeling and analysis. As a result of this workshop, we have an improved understanding of the conceptual models of Leptospira transmission in various ecological systems and of the gaps in data and methods. We also established new collaborations and a common language between biologists and theorists interested in leptospirosis. Summary Report. This workshop reviewed the current state of knowledge and data gaps in leptospirosis transmission mechanisms, epidemiology, pathogen diversity, detection methods, and health impact in people and in animals. Through large and small group discussion, attendees explored key questions that could be investigated through mathematical modeling while considering various modeling approaches, data needs and gaps. 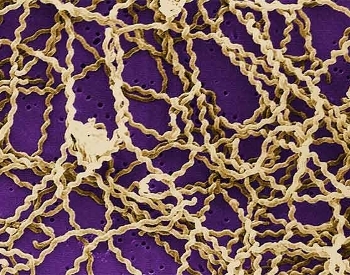 Discussion was organized based on three general themes: 1) Leptospira transmission dynamics within and between animal populations, 2) Leptospira in the environment and the host-environment interface, and 3) large-scale spatial and temporal models for evaluation and identification of cost-effective public health interventions. The various opportunities for interaction allowed open discussions and the creation of new plans for formal and informal collaborations between attendees. Future plans include continuing specific modeling efforts that began during the workshop and submission of a NIMBioS Working Group application.